Home > Blog > What size speakers are in my car? “What size speakers are in my car?“: Here’s a quick guide to enjoy an immersive audio experience inside your car, one of the most important things is to have the right set of speakers. This will reproduce sound from the stereo, but the quality of which will depend on the specific features that can be found in your chosen speaker. With this, it is crucial to exert effort in differentiating the options that you have, increasing the likelihood of making a decision that you will not regret. Among others, one of the most important things that should be taken into account would be the size of the speakers that will be purchased. This is critical to ensure that it will be properly fitted in your car. It will also be indicative of the power that it will produce, and consequently, the quality of the sound. 1 – 2 Inches Tweeters: This is the normal size of tweeters and they form part of the larger speaker. They can also be used as stand-alone. 3 ½ Inches: These speakers are meant to easily fit in the dash port and they are often mid to high-range. They are often placed near the ear of the driver because they cannot powerfully recreate sound. 5 Inches: This is the size of the speakers that you can normally find from vehicles that are made in Japan. They are pretty much decent, but will surely be minimal for anyone who is looking for powerful sound. 5 ¼ Inches: This is one of the most popular options for car speakers. They are known for their versatility as they can easily fit in different port sizes. They can also be successful in reproducing various sound ranges, promising an exceptional audio experience inside your car. 6 ½ Inches: From all of the speaker sizes, this is the most common. Whether it is low or high frequency, they can be successfully replicated by this size. This is also known for its versatility. Our suggestive best 6.5 car speakers provide the choice of power in the absence of compromising quality of audio. 6 ¾ Inches: Compared to the sizes that have been mentioned above, the main benefit of this size is its ability to create bass that is deeper. It is also versatile as it can work well in different vehicles. 5 x 7 / 6 x 8 Inches: This is also commonly found in many cars. This is often installed in the back and is known for the excellent ability to handle a wide range of sound. 6 x 9 Inches: If you are looking for the deepest bass in the absence of having to install a subwoofer, this is most probably the best choice. They can also be easily installed, provided that the manufacturer has provided clear instructions on how its assembly can be completed. Speaker ports can be slightly modified to allow them to fit this size. 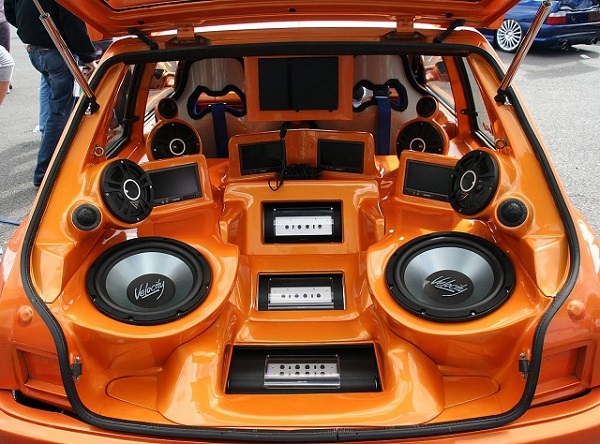 8 Inches Subwoofer: This is the perfect choice if you have minimal space available in your car. It is also known for its ease of installation. Even on your own, you can have it quickly assembled. Because of their size, they can also be easily installed, even just under the seat. 10 Inches Subwoofer: This subwoofer is compact, yet it does not sacrifice its performance. However, it may not be as effective in reaching lower frequency, compared to those with larger size. This type of subwoofer can be the perfect choice for those who love listening to rock and country music while driving. This can also be installed under seats, but in some cases, they can also be installed in other locations depending on what the owner prefers. 12 Inches Subwoofer: When you speak of aftermarket subwoofers, this is the most common size. The loudness and accuracy that you can expect from this size are perfectly balanced. They can effortlessly hit low notes without the need to consume too much power. This is the safest bet if you want to modify your sound system and if you have no idea which one is the best size. 15 Inches Subwoofer: If you are looking for a monstrous sound setup for your car, this is the best size. With its large cone, there is no doubt that it has the most powerful capability to reproduce lower frequencies. This is best if you love listening to rap and dance music. They have large space requirements, expensive, and can be complicated in terms of installation. Whether it is tweeter, midrange or subwoofer speakers you are buying, it is important to always think of the right size of whatever you intend to purchase. Do not just choose a specific product because of its price or because you think it produces great sound. Always consider the size requirements of your car. With the wrong size, your money will only most probably go into waste.